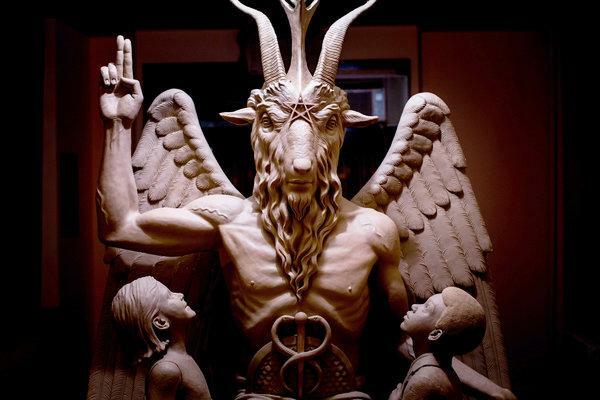 The Chilling Adventures of Sabrina, a Netflix Original show released October 26, 2018, was sued for $50 million by The Satanic Temple for copying the statue of the deity Baphomet without their permission. In the show, Sabrina is a half-witch that is forced to choose between the world of magic and the real world where all of her friends and her boyfriend reside. The statue first appeared in the fourth chapter, “Witch Academy” when Sabrina enters the Academy of Unseen Arts for the first time. According to Joelle Goldstein of People Magazine, Netflix replied under a confidentiality agreement, leaving the public with only the knowledge that, “The Satanic Temple is pleased to announce that the lawsuit it recently filed against Warner Bros. and Netflix has been amicably settled.” Netflix agreed to acknowledge the similarities of the statue in the credits of the episodes where it has been featured. All other agreements were settled confidentially. The Chilling Adventures of Sabrina isn’t the only TV show being accused by The Satanic Temple. American Horror Story, Apocalypse has been taking some creative liberties regarding the Satanist side of the story for entertainment purposes. The episode that aired on October 17, “Return to Murder House”, depicted three Satanists performing a sacrificial ritual in which they stab a woman and rip out her beating heart. Kathy Bates and Naomi Grossman portrayed the cardinals from The Satanic Temple in “Return to Murder House”, and after filming Bates tweeted “Okay I’m going to bed to read the Bible…not Anton LaVey’s version!!! !” Although fans took it as a joke towards the show, The Temple and an individual Satan worshiper did not agree with the statement. A woman replied to Bates saying, “You should actually read LaVey’s book The Satanic Bible because apparently you guys did absolutely no research on Anton LaVey…” and tagged The Church of Satan. The church promptly replied with two words. “Incredibly disappointing”. The Church of Satan continued their responses to Bates, calling the writers lazy and saying that their representation of devil worship was “unimpressive and boring”. They believe that their religion should be taken more seriously in TV shows and movies, but don’t understand the purposeful inaccuracy in Hollywood’s portrayal of them.